Luna Lovegood. 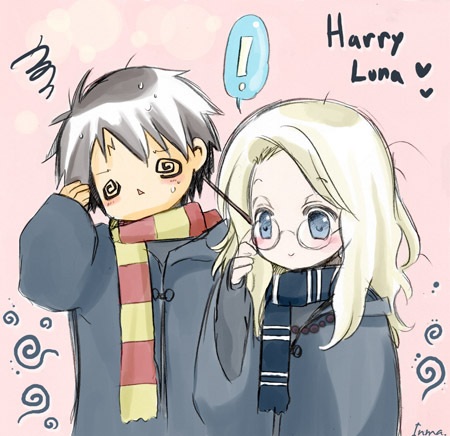 I added this all at once, so it's either Luna par herself ou with Harry.... Wallpaper and background images in the animé Harry Potter club tagged: potter harry anime luna lovegood. This animé Harry Potter photo contains anime, bande dessinée, manga, and dessin animé.